Fast Times at Ridgemont High is another of those classic American coming-of-age teen comedies from the 80's (1982 to be precise), based on Cameron Crowe's book of the same name. 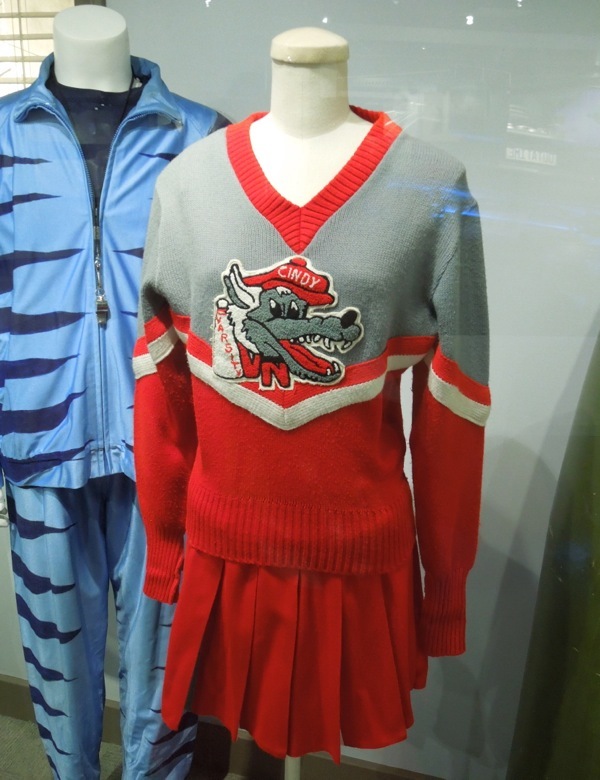 The movie follows the lives of several students over the course of an academic year at the fictitious Ridgemont High in Southern California, played by the likes of Sean Penn, Judge Reinhold, Jennifer Jason Leigh and Phoebe Cates. 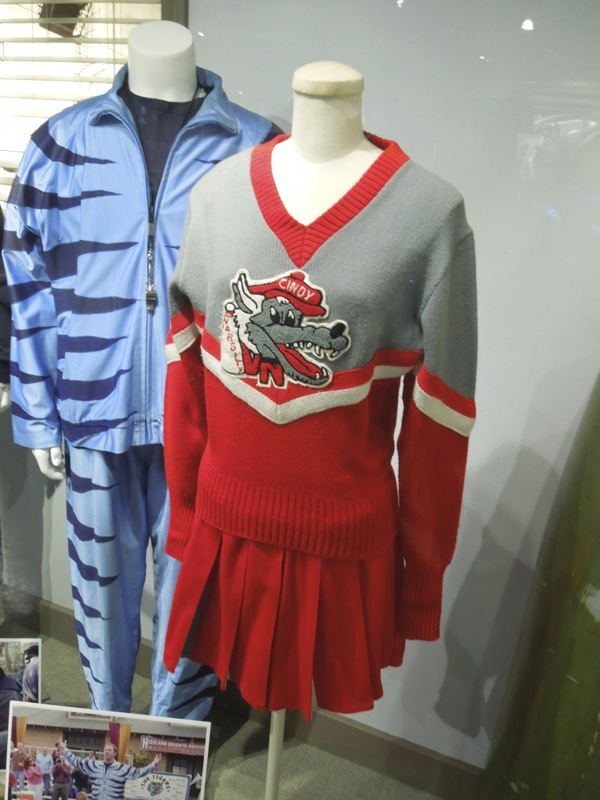 Marilyn Vance was Costume Designer on the film and this cheerleading costume worn by Kelli Maroney as 'Cindy Carr' was photographed on display within the NBC Universal Experience attraction at Universal Studios Hollywood on May 7, 2013. 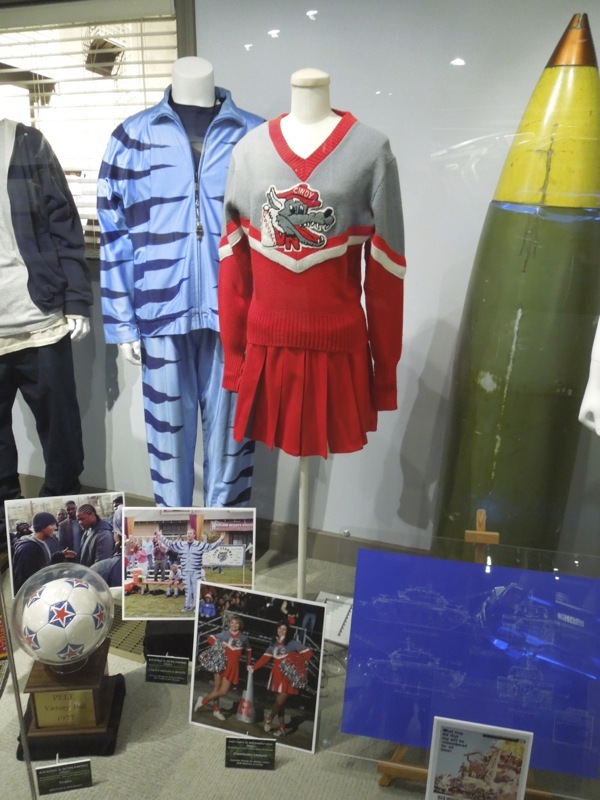 If you like this movie costume, be sure to also check out Hayden Panettiere's cheerleader uniform from TV's Heroes series.